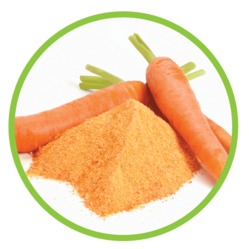 We are manufacturing the wide range of Spray Dried vegetables powder which are prepared after Drying and Grinding of natural Vegetables. We source the best and the freshest vegetables and condiments and process them at our Plant where they are washed, sorted, converted in to pulps, concentrated and later Spray Dried. We maintain the integrity of these Vegetable Powders without adding any synthetic additives flavors or concentrates to them. This gives our products distinguishable Colour, texture and taste. Spray Dried Natural Vegetable Powders maintain nutritional value and quality required for incorporation in Infant foods, Weaning foods, Snacks foods, Hot and cold Beverages, Desserts, Confectionery and Bakery products. To provide maximum protection from atmospheric humidity. Our Products offer longer shelf life and versatile uses, making them a healthy substitute to actual fruits and vegetables in different food and beverage applications. Our powders do not contain any synthetic additives and are also free from any harmful chemicals or substances. They are fully traceable and adhere to highest norms of Food Safety and Hygienic Conditions. We are engage in suppying and exporting Tamarind Powder. 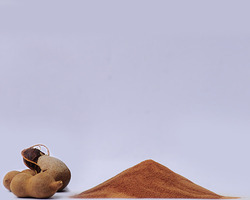 We offer high quality tamarind powder that we offer in most natural form. Before the final dispatch, all our products undergo several tests on different quality parameters to ensure their flawlessness. Our tamarind powder gives you the exact tanginess of tamarind in all your delicacies and savories or any of snacks you want to use it in without adding any moisture to it. 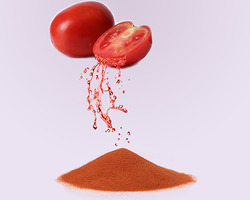 Tomato Powder is probably one of the most widely used Vegetable Powders in the Food and Beverage Industry having applications in many Food Products like Soup Mixes, Seasonings, and Snacks among others. We are engage in suppyling and exporting Spinach Powder. Spinach powder is an excellent ingredient in ready to cook/eat products, snacks, savories, soup powders, pharmaceuticals, etc due to flavour and its nutritive value. As the nutritional content, flavour & colour is intact and also has low moisture content, it has a greater demand in food and Pharma industry. We are engaged in providing superior quality of garlic powder , with focus on many factors helped us to capture both domestic and international markets and have enabled us to emerge as trustworthy partners amongst our clients. 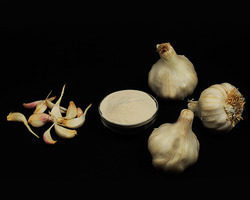 Our garlic Powder is known for their accurate and precise formulation. Our garlic powder are widely used in various food and pharmaceutical products due its strong aroma, flavour and its high nutritive value. It has many therauptic applications as well, hence used in many medicinal/ Ayurvedic products also. We are manufacturer, exporter and supplier of Lemon Powder. 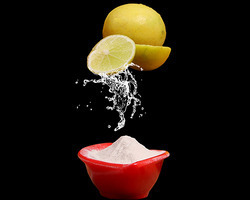 Lemon powder is a widely used product in food delicacies for its strong and prominent flavour. It is also used in various read to cook meals and ready to drink products, due to low moisture content. 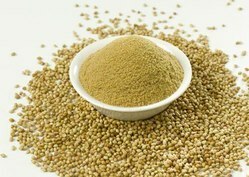 We are engaged in providing best quality of Coriander Powder. It adds a mild flavor and aroma to sweet and savory food preparations. We specialize in offering a high quality powder that is used adding flavor to various food items. Checked on various parameters, it is assured of utmost quality. Coriander powder can be used in various snacks, soups and delicacies for it aroma, flavour and low moisture content enabling a higher shelf life for the end products. We are engage in suppying and exporting Mint Powder. As per the requirements of our clients and market demands we offered premium quality of mint powder. Mint powder is widely used in soup mixes, curries and gravies, snack foods etc. Mint powder made by spray drying of fresh mint leaves, give the required flavour and aroma of minty freshness and zest required in your food products like soups, ready to eat/cook meals, snacks etc along with its application in Pharma products.